There is a real softness in the Tanzanite. I think they are very beautiful. Will make a nice gift for my daughter. She doesn''t like anything of substantial size and these seem to be perfect for her. I know she will like them. Good Job Stauer! Tanzanite can only be found one place on earth and supplies are about to run out! Millions of years ago, the world-renowned violet blue of the Tanzanite gemstone was created, in one place and one place only, by almost impossibly unique conditions. Ancient eruptions from Mount Kilimanjaro contained some of tanzanite's raw materials that thundered downhill and settled in the foothills of the great mountain. Located in Tanzania, East Africa, they were mixed with a second set of raw materials to create the world's only tanzanite deposit. It remained undiscovered until 1960, when a single lightning bolt set those foothills on fire, heating the earth and revealing the blue treasure buried below. The vivid violet-blue tanzanite stones in the Tanzanite Earrings come from that very location, because tanzanite cannot be found anywhere else. Every stone is marquise cut â€” a style specially selected to emphasize color clarity. These rare Tanzanite Earrings weigh in at a luxurious Â½ carat total weight and set in glorious sterling silver! The only problem with a stone that's found in just one location on Earth is that once that supply is gone, it's gone. A 2013 study suggests that day may be coming sooner than expected. 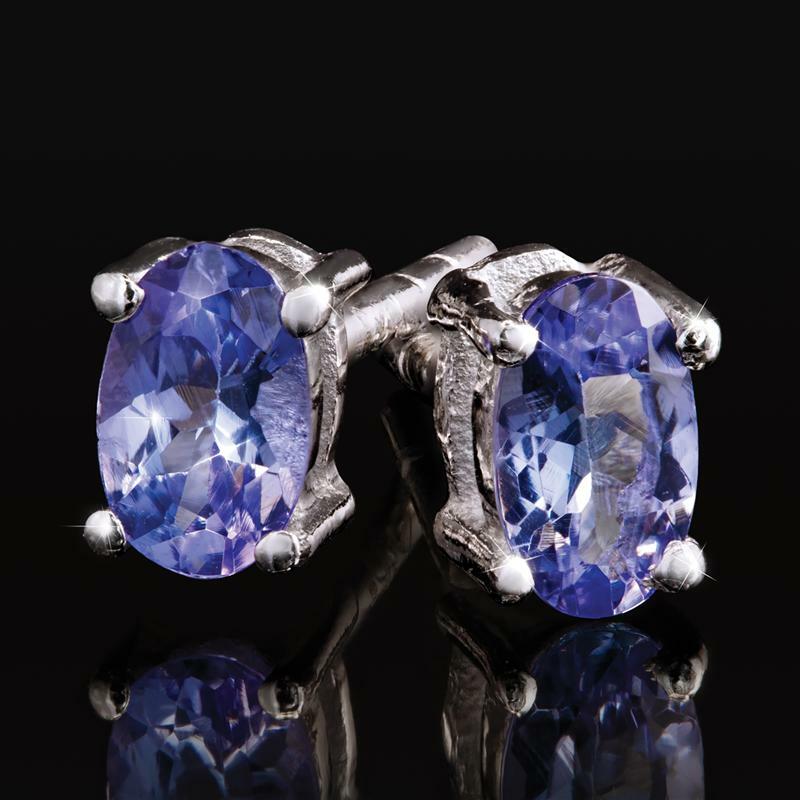 Because of the rarity and ever-increasing popularity of tanzanite, the world's supply may be exhausted within 30 years. So unless lightning strikes twice and reignites the supply of this incredibly rare gemstone, you need to strike while the tanzanite's hot!